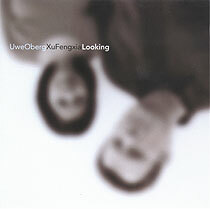 Uwe Oberg, piano, prepared piano; Xu Fengxia, guzheng, vocals. Recorded in March 2001 in Wiesbaden. Art direction and photographs (front cover reproduced above) by Stefan Blum. Go to list of NURNICHTNUR recordings or to Independent record labels.